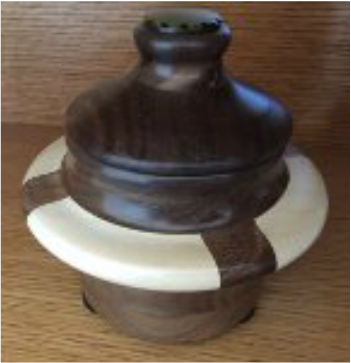 I create wooden urns made of choice woods: Walnut, Maple, Cedar, Purple Heart, Cherry, Elm and more. I craft with great care, always unique one-of-a-kind final resting vessels. These individually hand-turned wooden urns are original pieces of art The urns I make are original in color, wood grain and shape.